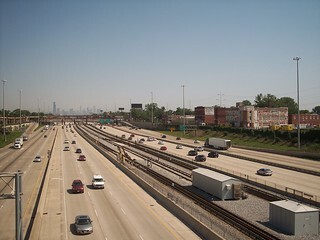 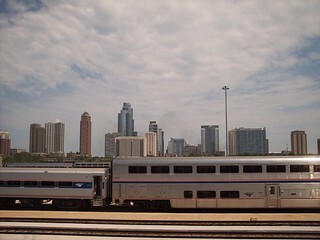 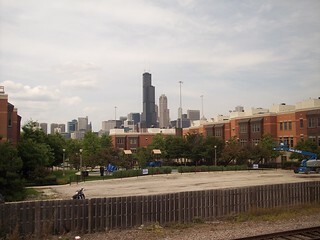 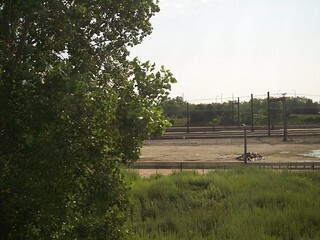 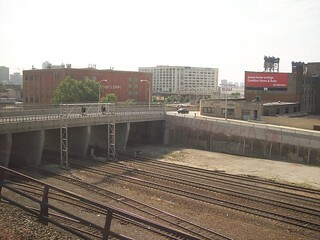 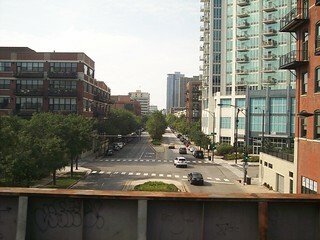 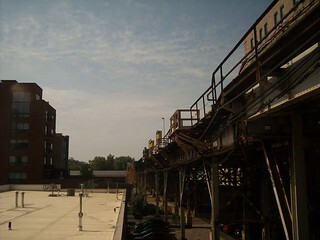 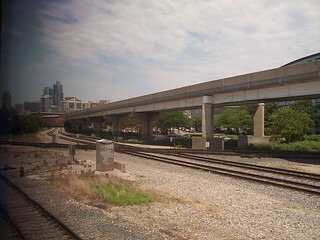 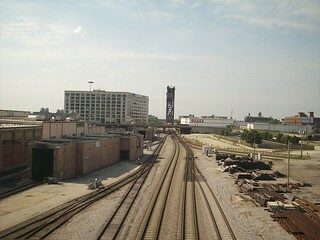 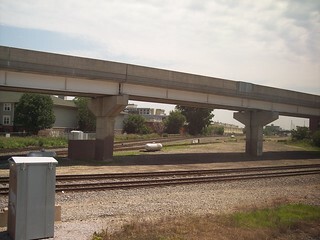 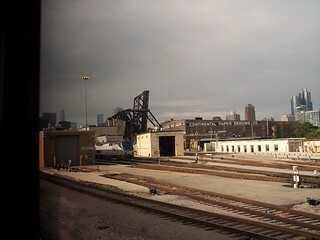 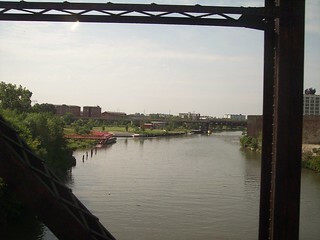 The CTA Orange Line sits above the junction between the Amtrak lines to Indiana and those to Joliet. 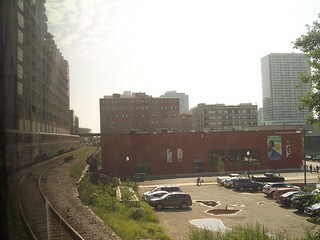 Crossing the South Branch of the Chicago River as we head toward Chicago Union Station. 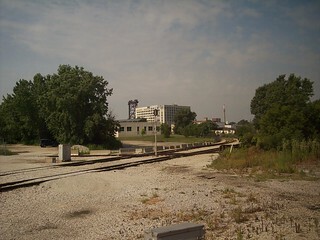 The view from the BNSF Line and of the BNSF Line as we head east on the City of New Orleans toward the former Illinois Central. 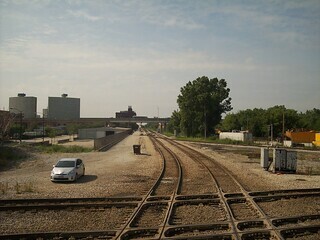 Crossing the Metra Rock Island District tracks.